This stuffing is sure to become a holiday favorite. 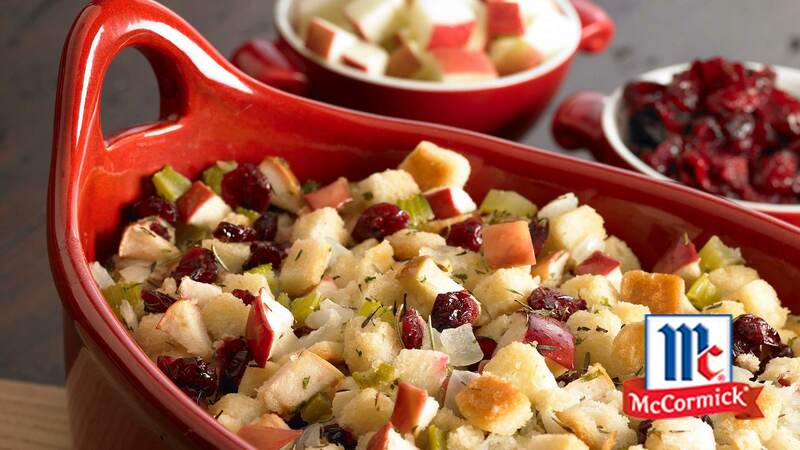 Sweet tart cranberries and apples add color, flavor and texture to the stuffing. Preheat oven to 325 degrees F. Melt butter in large skillet on medium heat. Add celery and onion; cook and stir 5 minutes or until softened. Stir in apples, cranberries, parsley, rosemary and thyme.